Caltrans with Myers & Sons as the Contractor pioneered a new methodology, in California, of replacing existing deteriorating concrete pavement(PPCP panels) on one of the busiest highways in California, with a precast, prestressed concrete pavement panel section that has an “indefinite life span” according to the designers, California Department of Transportation (Caltrans). The job consists of approximately 500,000 square feet of precast, post tensioned, reinforced concrete slabs that sit on top of approximately 9 inch thick rapid set lean concrete base. The panels are pre tensioned at the manufacturer's fabrication yard, cured then trucked to the site and then put together and post tensioned into a long continuous slab of 160 foot sections. The slabs run up and down all lanes across the freeway. 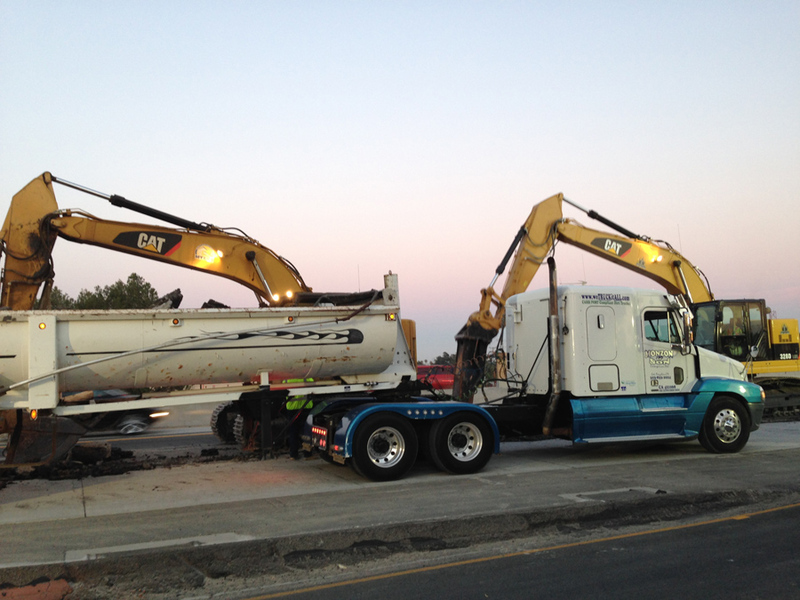 Caltrans is working closely with Myers and Sons to produce the best quality product with the most innovative approach to speed and efficiency for placement of the panels to reduce and alleviate the impact to the travelling public the least way possible. 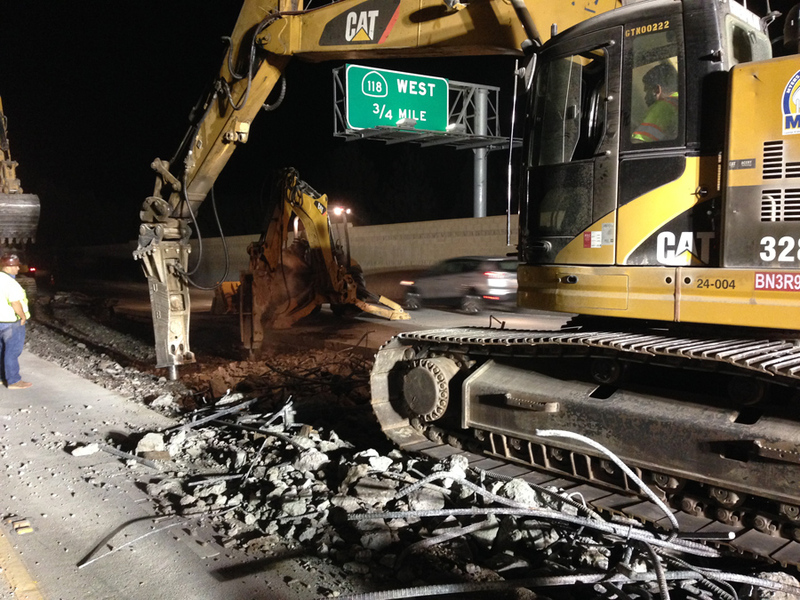 The other items include: 23,000 tons of Rubberized Hot Mix AC, Superpave, replacement for all of the existing on and off ramps along with the parallel shoulders, 800 cubic yards of Structure Concrete Approach Slabs, which consist of reinforced rapid set concrete and subsequent underlying base. The job also includes a very large drainage structure, an Austin Vault, a water desilting structure at the south end that drains into the LA River that includes the replacement of an existing drainage system that ties into the LA River.